In this article we will give you a few ideas of where the best places to be are when you are in need of some down-time during your holiday, or indeed for your entire holiday! Sumptuous surroundings greet you here, with a tantalising range of therapies, treatments and beauty options to choose from. Rooms are private, there is a Jacuzzi tub, and all treatment rooms are complemented by candles and incense to really get you relaxed. A chill out room with full length loungers provides a comfortable area to get yourself ready for your next treatment, but the resort also has a fitness centre should you wish to pump some iron instead! The Acapulco can offer a pre-booked spa getaway, or you can choose on arrival and it has a great range of treatments to choose from. 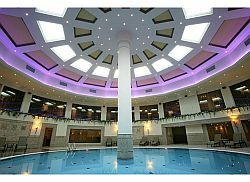 This rather grand hotel will certainly tickle your taste buds when it comes to the treatments available on the menu at the Malpas Spa and Wellness Centre, and the variety of treatments certainly ensures you are in for a real treat. 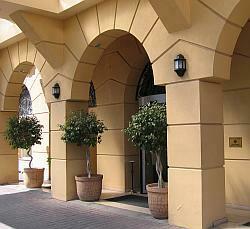 On entering the lower floor spa, you will feel as if you are in an oasis of calm and tranquillity. Mood lighting, soft music and helpful staff will help you choose your spa programme to suit your mood, and you will be able to take advantage of such delights as a steam room, indoor pool, Turkish bath and fitness centre as part of your spa holiday. Professional masseurs offer a great range of massages to entice you too, with the stone therapy being amongst its most popular, along with aroma and hydrotherapy too! Again, you can pre-book your spa holiday or book your stay and then choose what you want to experience on arrival. One of the most tasteful hotels around provides a spa and wellness centre that bases itself on rejuvenation and relaxation, with a range of tempting treatments to try as well as a modern exercise room with personal trainers on hand to assist you in choosing what’s best for your needs. You can spoil yourself rotten with a great range of massages including Swedish, sports, deep tissue and orthopaedic, as well taking advantage of their solarium, Jacuzzi, steam room and sauna. Given the environs of the Colony that just ooze class, this is a great bet if you want to be in the centre of the town, but still want to feel like you are on a desert island! Choose your spa package when pre-booking, or book yourself in and take your time in hand picking your treatments. Why not try this uber cool spa with a unique range of Far East inspired massage therapies, from shiatsu, thai and mandara, to reflexology and stone. Chakra based techniques ensure that you feel at one with life and nature, and give a boost to your own well-being. Medical massages are also available by trained specialists and are tailored to specific areas of the body. Besides the top class treatments, you will be treated to wonderful surroundings and facilities such as Turkish bath, scented saunas, indoor pool and Jacuzzis. Pre-planned packages are available, or book your stay and choose when you arrive. 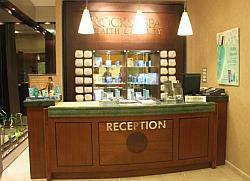 Classy and classic, this spa ticks all the right boxes being located at the elegant and stylish Rocks Hotel. Dark wood, tasteful décor, furnishings and discreet lighting all help to make this one of the most popular spas around. You can partake of a Turkish bath, sauna, Jacuzzi and a myriad of modern and traditional treatments. Relax in between treatments with a herbal tea in the relaxation lounge, treat yourself to a massage from a range including stone, Thai or Bali to help rejuvenate, inspire and relax. Being located in the centre of town, this is a great place to stay if you feel rejuvenated enough to go sightseeing after your spa pampering! That concludes our round up of spa inspired loveliness, but again there are more spas and wellness centres around, so if none of the above fits the bill (we can’t see that happening though!) 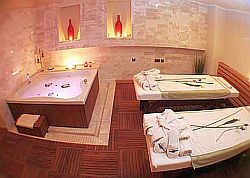 then check out our article on Spa Therapy choices in North Cyprus! For other hotel options feel free to check out our articles on family friendly, boutique, budget, business and luxury hotels.